What if there was a natural way to soothe, balance oil, combat free radicals and reduce the signs of aging & inflammation in your skin all with one product? You'd call it a "wonder product" wouldn't you? Well, all of these amazing things can be achieved by one simple thing. A seed. That's right, a hemp seed contains so many benefits for the skin (and hair for that matter) some might call it... well, The Wonder Seed. And that is precisely the brand that has captured the "super powers" of this little seed and infused it into hair, skin and bodycare to keep you nourished from head to toe. In this case though, we will focus on the face. 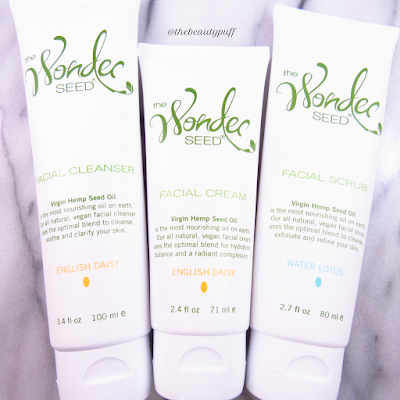 More specifically, my face, and it has been loving these three little gems from The Wonder Seed line of facial care products! As I was packing for my trip this past weekend, I had a lot to choose from when putting together my skincare items. For whatever reason, my skin is incredibly temperamental when I am away from home. I tend to get breakouts due to the extended time makeup is on my face or the accidental brush of my hand, you get the idea. It's not a good feeling especially when you want to focus on the fun you are having, not your skin acting up! So I needed to bring something reliable and effective. I also wanted to bring a moisturizer that would be good for day and nighttime to minimize what I had to bring. So what did I do? 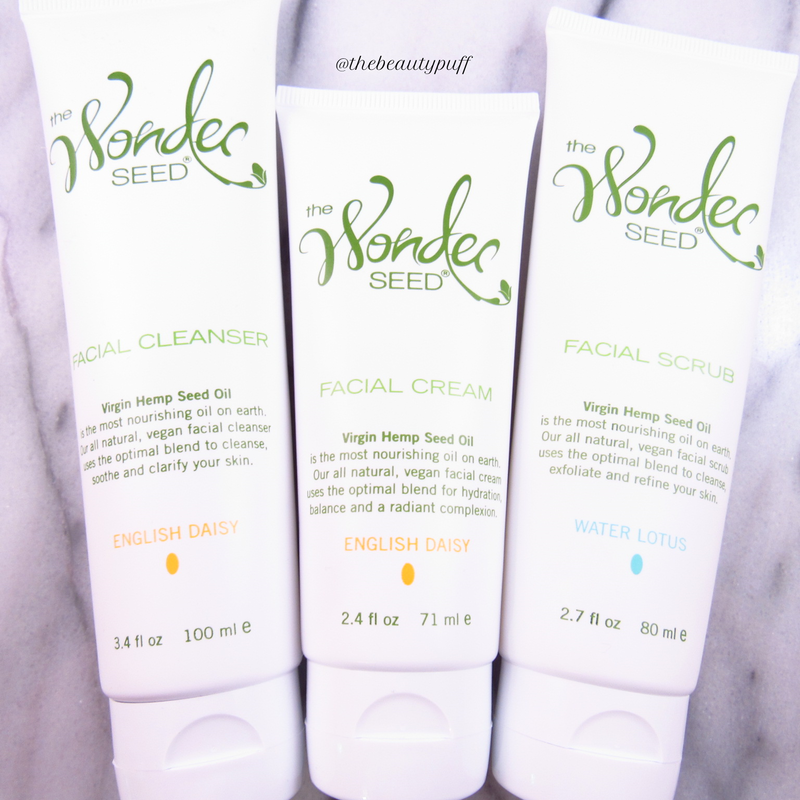 I ended up bringing The Wonder Seed facial scrub and facial cream. Why? Well, I knew my skin was going to need exfoliation and this scrub is gentle enough to use every day due to the jojoba soften particles. They do their magic for an effective, yet incredibly gentle exfoliation. The cream helps balance my oil during the day to keep my skin looking fresh. And at night, it soothes & nourishes so I wake up with calm, moisturized skin. Each product is infused with a delicate scent that is fresh and suitable for any time of year - even hot summer months! So they are quite literally, the perfect travel companions! What about the facial cleanser you say? That little wonder gets used practically every morning when I am home. It freshens, soothes and nourishes my skin so I'm ready for whatever my day may bring. It has a unique "slip" to it, not greasy by any means, that allows it to glide on the skin. It feels very luxurious and even looks fancy due to it's pearlescent appearance. It might be the prettiest cleanser I've ever seen. And it makes my skin feel even prettier! So how was my skin while I was away? Awesome. I had no breakouts, my skin felt refreshed & nourished, and I didn't feel anything lacking in my skincare routine even though I was away from home. These little "wonders" are packed with all your skin needs whether you are here, there or anywhere. Disclaimer - These products were sent to The Beauty Puff for review.